Avoidance. That’s why people sign up for TSA Pre✓. They simply want to avoid the hassle of going through the regular security line with all of its small indignities – taking your shoes off to walk barefoot or in socks or stockings on an airport floor; taking liquids and electronics out of your carry on; the luck-of-the-draw spot-checks; the time it takes to get through the line. Since the regular security line is a TSA service, we could not use avoidance as a driver. It had to focus on a positive aspect of pre-check without directly speaking to perceived negatives. 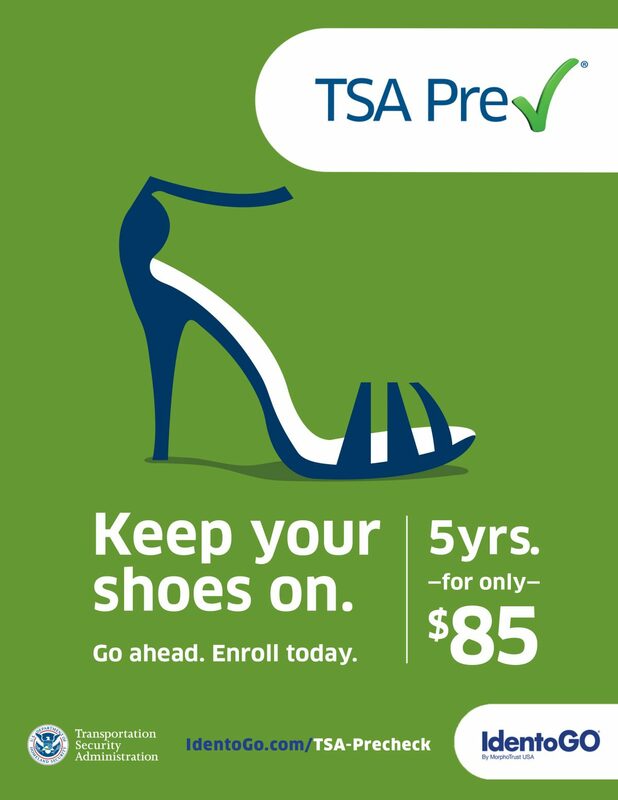 Also, TSA could not guarantee that pre-check would save time, though it commonly did. 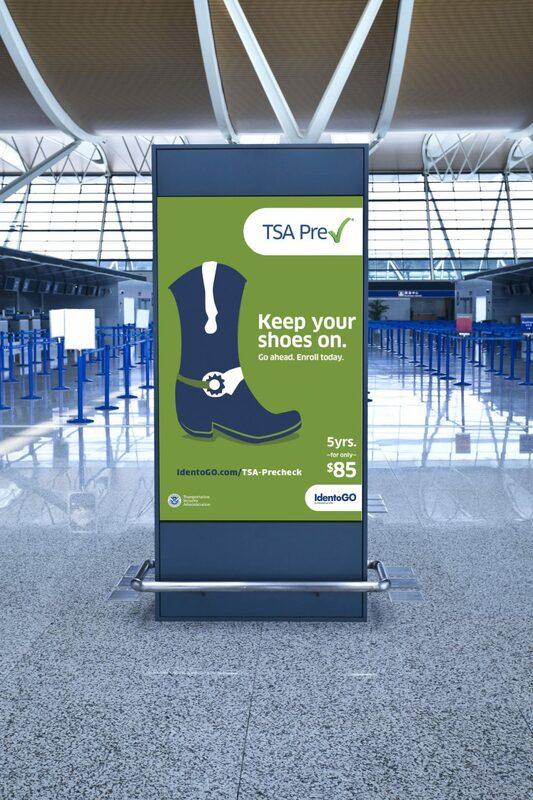 Research showed that taking their shoes off is the part of the security process that travelers hated the most. Our campaign was simple. Keep your Shoes On. We used stylized shoes as an iconic representation which allowed us to give it a branded look. 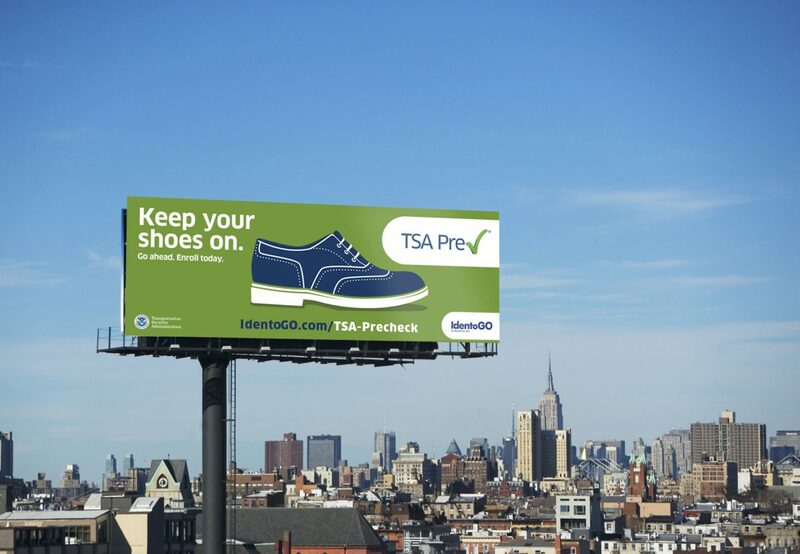 By changing shoes we could target different demographics and even regional customization.